Accounting and the legal profession intersect in many areas, but perhaps none of them is as important as tax law, which is why many schools across the country are now offering a tax law certification for graduates of both accounting and law degree programs. These certification programs were developed in response to increasing demand for a certificate that blended advanced tax accounting concepts with legal concepts that include corporate responsibility and fraud, federal and state regulations governing tax law for corporations and nonprofits, and the legal implications of the tax code on public and personal accounting. In recent years, these programs have dramatically increased their enrollment in major schools nationwide. So, what can a student expect to learn as they pursue this new and popular certificate? 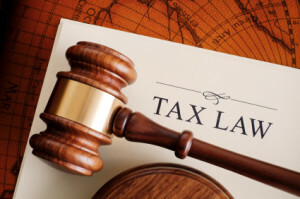 The tax law certificate is primarily designed for lawyers who have already completed law school or accountants who have already earned their Master of Accountancy degree. To ensure that all students first have a strong sense of the fundamentals of tax accounting, most programs require two core courses in taxation. The first covers federal income taxation, including both the personal income tax and the responsibility of corporations to properly collect and report income taxation. A second core course typically emphasizes taxation of businesses and nonprofits. This business taxation class goes well beyond what most accounting students would have studied at the undergraduate level. In fact, it may be even more extensive than a similar course found in the course lineup of most Master of Accountancy programs. Once students have a firm understanding of taxation, at least from an accounting perspective, they can move into a series of electives that will round out the certificate courses. Elective courses allow each student to customize the program so that it fits into their personal interests or long-term career goals. This is where it’s possible to combine accounting skills with a thorough understanding of how the law and taxation work together in many instances. Now that students have mastered their accounting skills, it’s time to dig into the law of taxation. Most schools offer at least eight different tax law courses, with students required to enroll in three to five of those classes to meet certificate requirements. While the list of elective courses will vary on a per-school basis, there are some classes that seem to be offered within almost every program. Most schools will give students the ability to study the taxation laws and procedures associated with defined benefit pension plans and other employee retirement plans, for example. Many schools offer entire classes in nonprofit tax accounting and tax law, business planning, federal tax procedure, advanced estate planning courses that focus on the legality of gifts and inheritance, and courses in executive compensation. To fully complete a tax law certification, students often must have a bit of practical experience in the field. Though this requirement varies in length, and some schools don’t require it all, the majority of tax law certificates will require students to complete between 10 and 20 hours of hands-on tax accounting experience as an “elective” course. Some schools allow students to meet this requirement in any way they choose, while others arrange specific experiences with public agencies and corporations. Tax law requires a healthy understanding of the law and a deep knowledge of accounting best practices. By pursuing this unique certification, students give themselves an opportunity to combine these interests and earn a credential that will enhance their resume with a wide variety of employers. Professionals who anticipate working within taxation should certainly make it a point to add a tax law certification to their list of academic accomplishments if they wish to advance a bit further over the long-term.